These aren't the best swatches, to see them in all there glory head on over to Google images here. The Stila, seeing stars smudge waterproof eye liner set comes with five stunning smudge sticks. The smudge stick collection is housed in packaging that suits the shade of product and comes with a twist-up pencil. The small tip makes them easy to work with for a more precise line and the formula is soft to use and buildable for a more bolder shade. They aren't the most exciting shades for a holiday collection, but they suit well for the season and will work all year round with shimmery neutral shades and some for a more intense dark smokey eyed look. I'm very much into neutral shimmers so the shades are fantastic for me. Smudge sticks cost £13.00 each for 0.3ml worth of product - this set doesn't seem to be available at the minute online there is another gift set with almost identical shades (some being the same) for £36.00, which in my eyes is well worth the money considering purchasing the shades separately would come to a total of £65.00. Fortunately for me. I caught the Stila after Christmas sale last year and got my set for £6.25 including free delivery. Stila do free delivery on all items purchased (UK only). Quite the bargain I must say. Disclaimer: I wrote this post at the beginning of the year and totally forgot about it. Unfortunately, I've been unable to write any recent posts and will be catching up in the next few days! Busy. busy, busy. 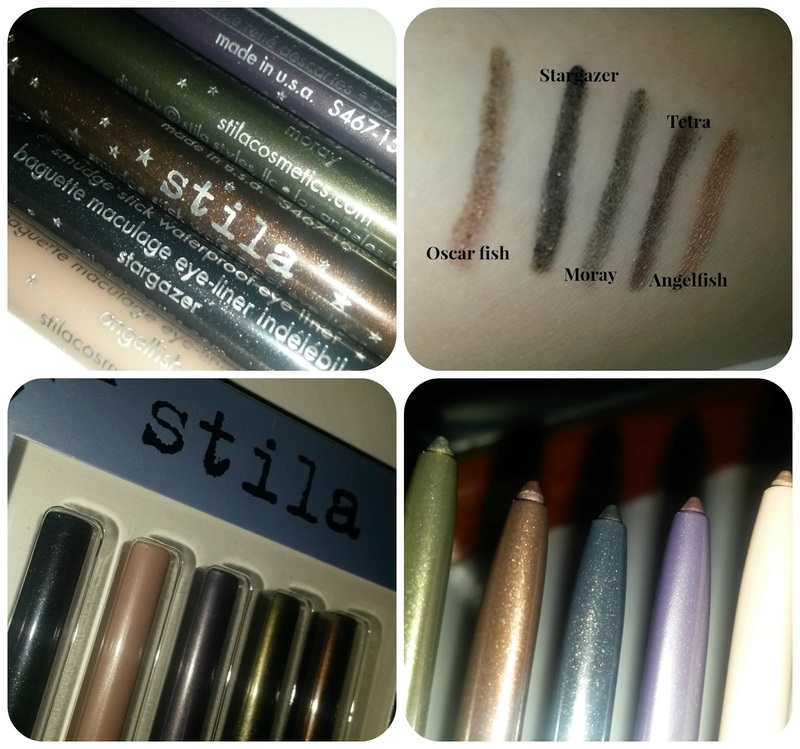 Stila liners are one of my faves! They stay on so well!